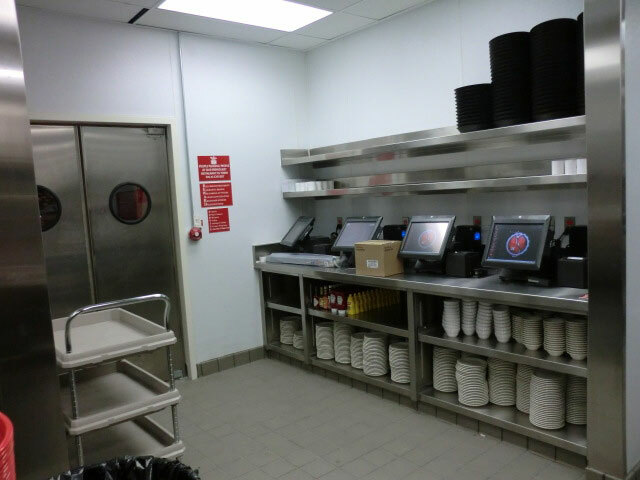 7,100 sq. 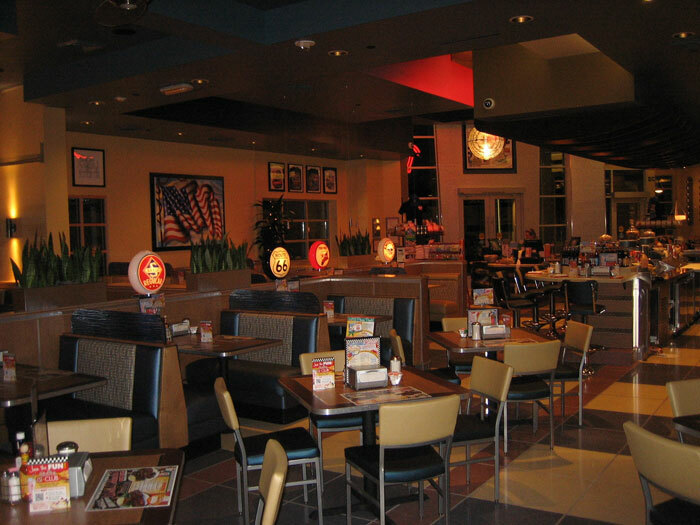 ft. restaurant T.I. 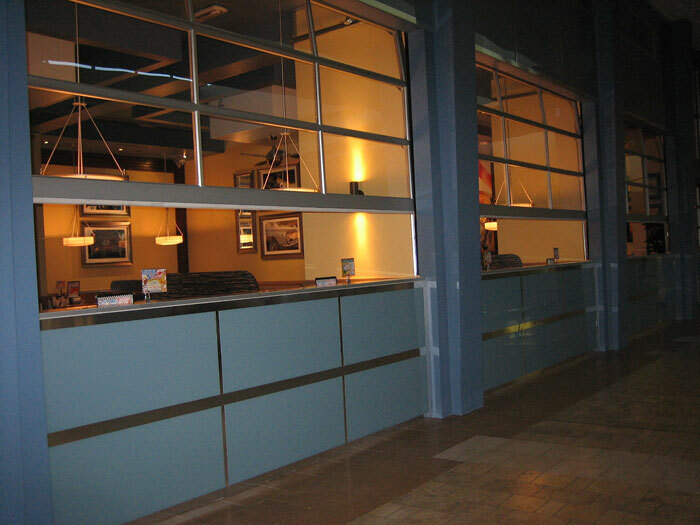 Orr Builders has completed the 7,100 sq. 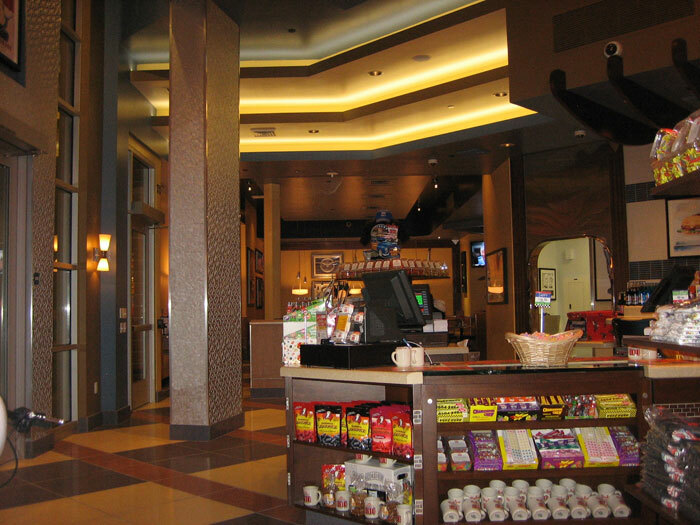 ft. T.I. 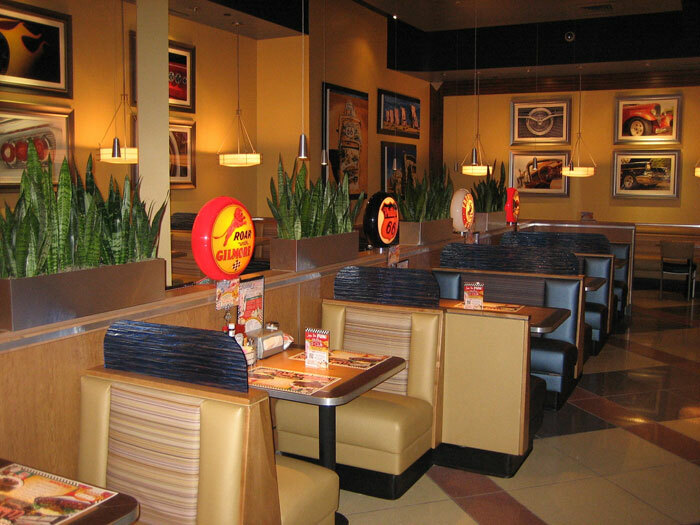 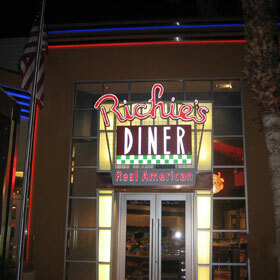 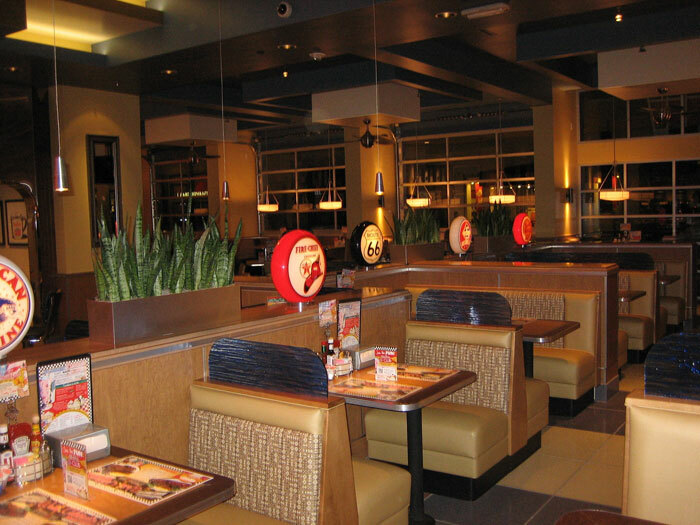 for Richie’s Real American Diner that just opened on Monday, 1/23/2012 in the Westfield Palm Desert Mall. 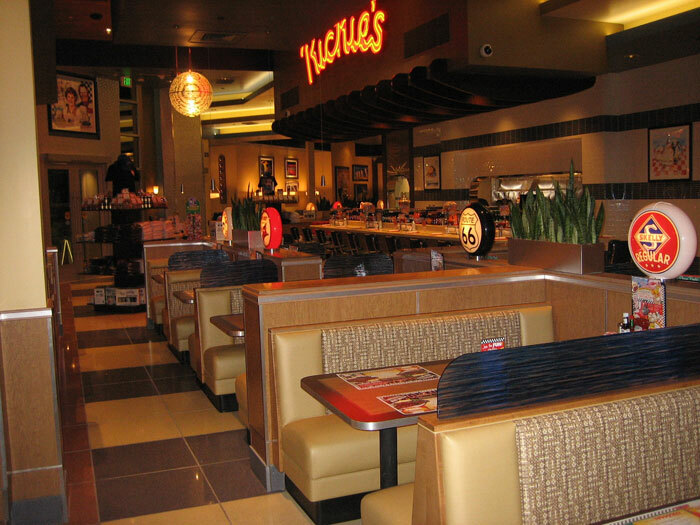 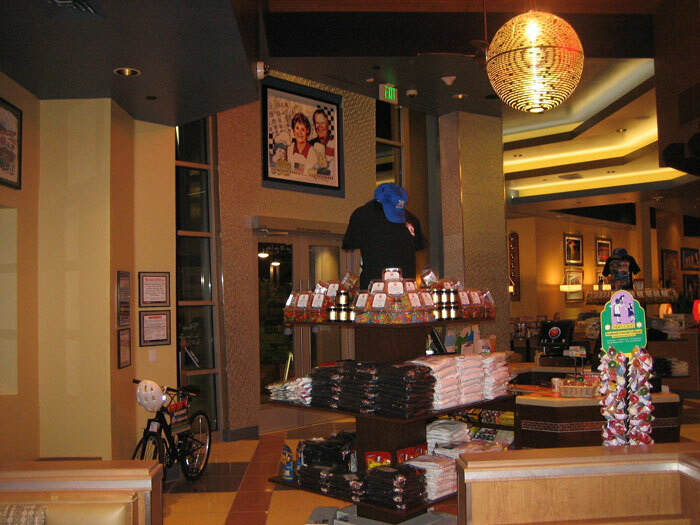 Richie’s took the place of the old Marie Callender’s restaurant space on the second floor of the mall and has been flooded with customers since they opened the doors. 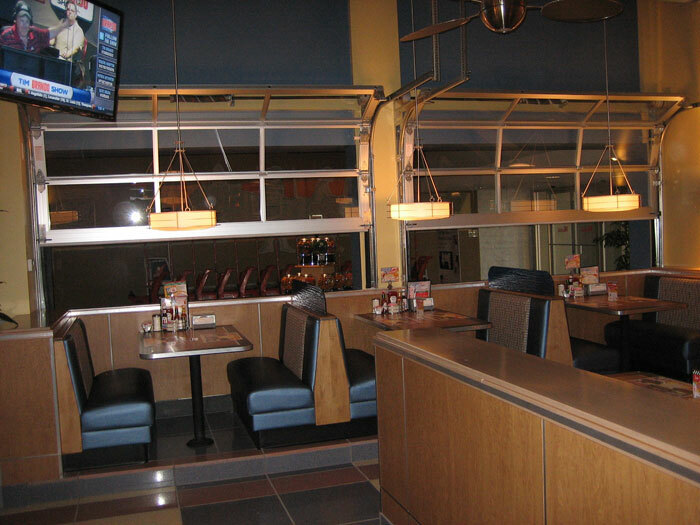 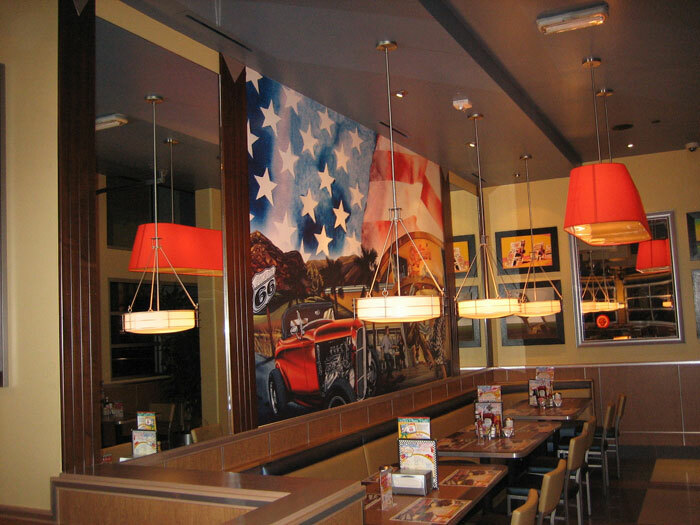 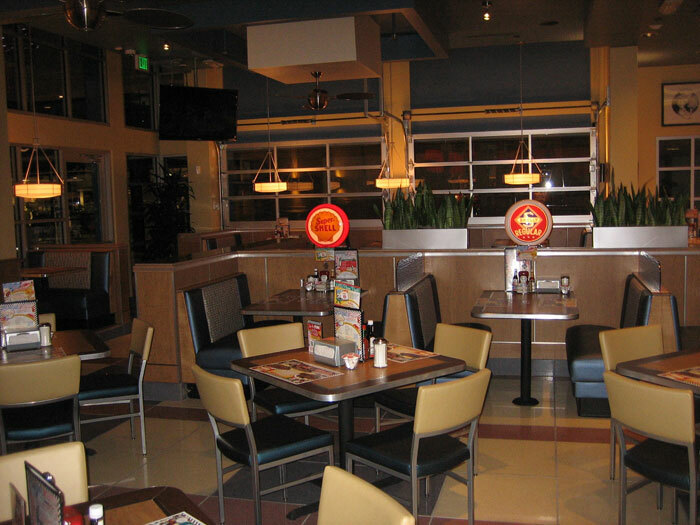 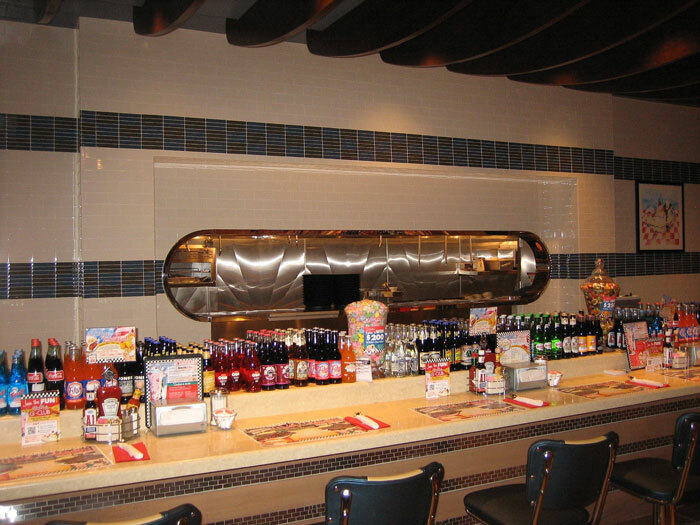 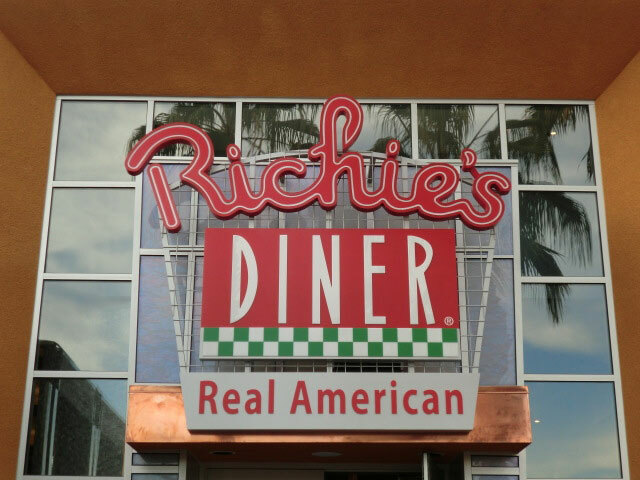 The Richie’s Real American Diner chain started more than 20 years ago and has been opening restaurants throughout California. 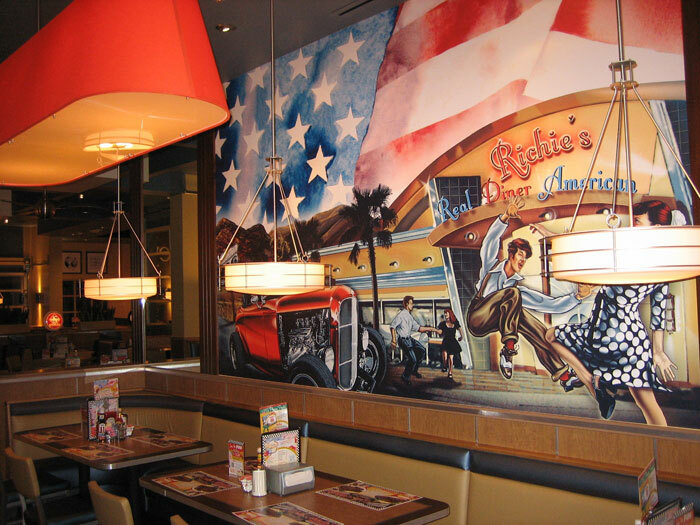 Part restaurant and part country store, Richie’s sells old-fashioned soda, candy, cookies, T-shirts and Americana memorabilia along with hearty breakfasts, lunches and dinners. 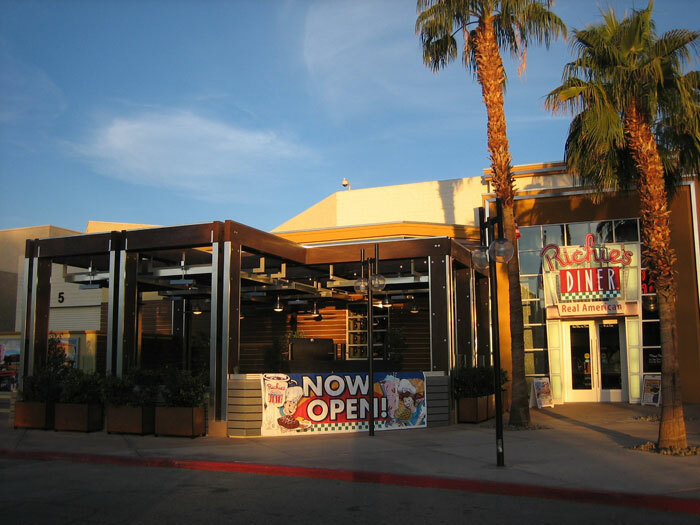 Richie’s is well known for its old-fashioned ice cream, burgers and hand-cut premium steaks, but has also made a name for itself serving food prepared by a mesquite wood-smoker and original recipes from the Owners mom and dad which include made-from-scratch cheesecake, pumpkin and pecan pies. 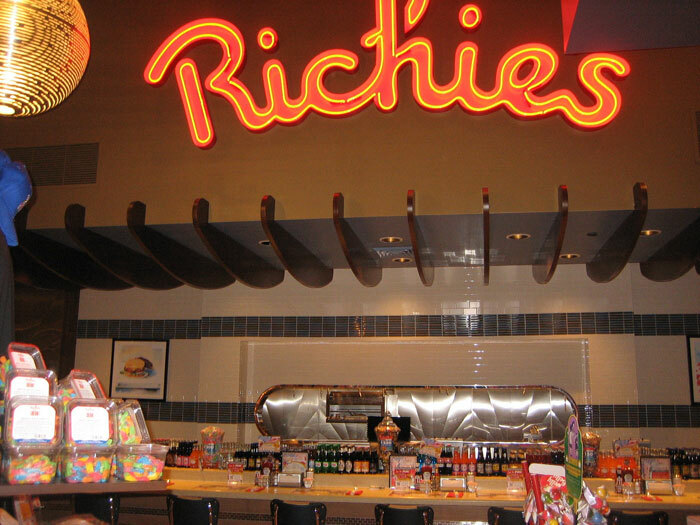 Richie’s will be open from 7 a.m. to 10 p.m. daily, serves beer and wine and also offers “take home” meal packs. 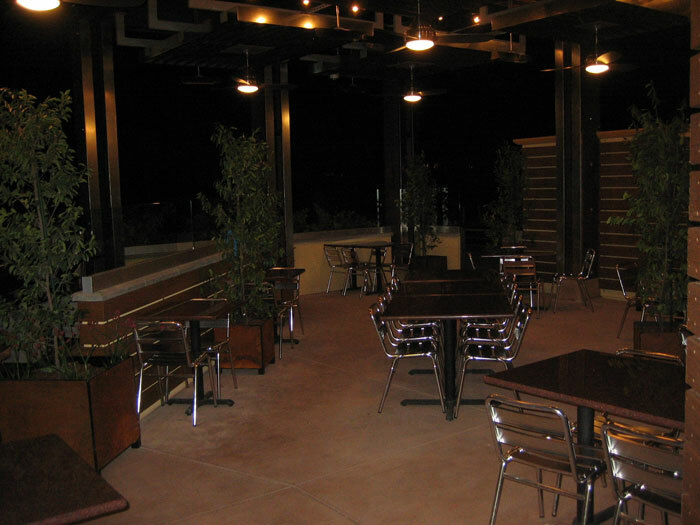 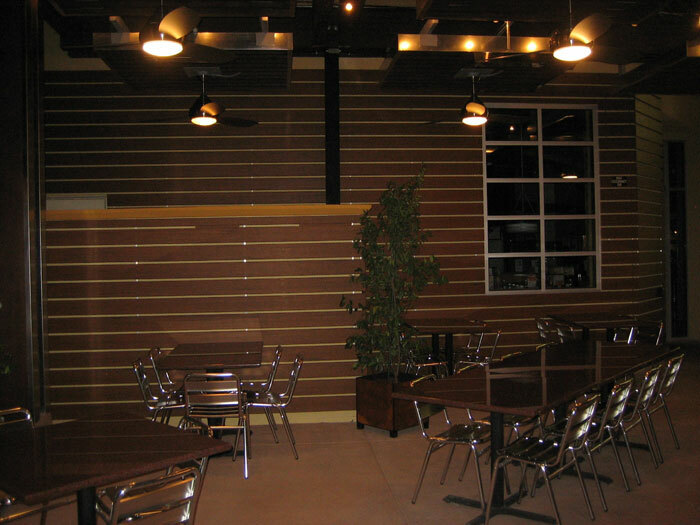 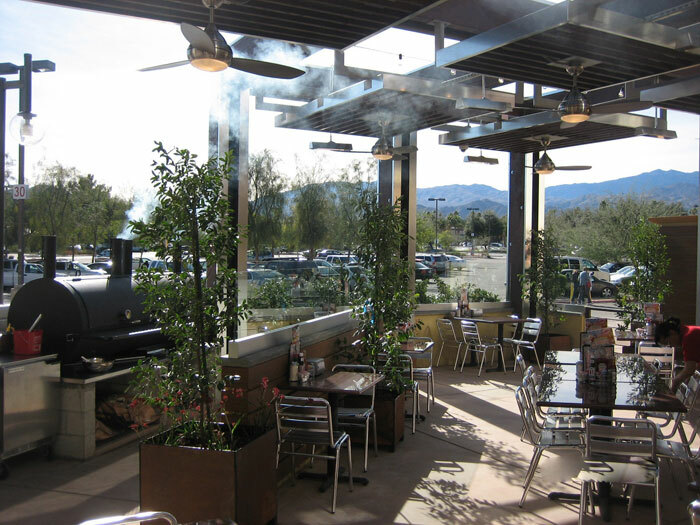 This facility required working with existing structure that required additional structural steel supports allowing for a new entry, exterior patio seating and new mechanical on the roof. 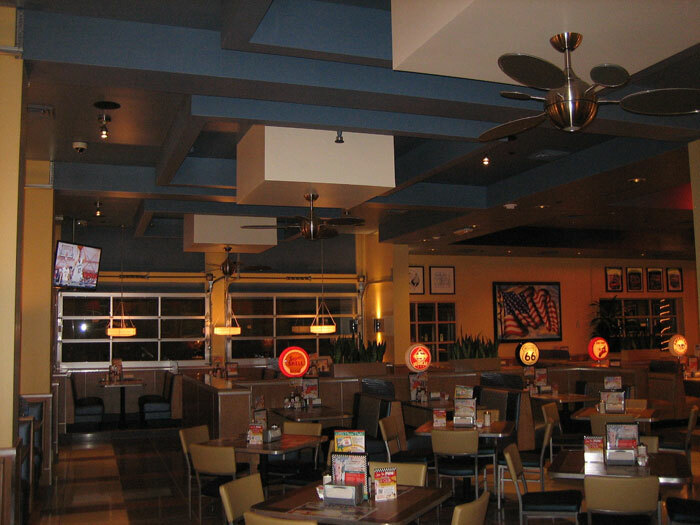 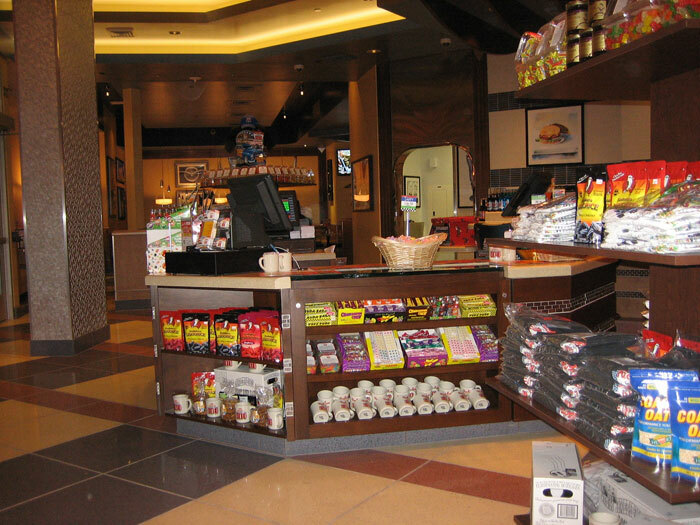 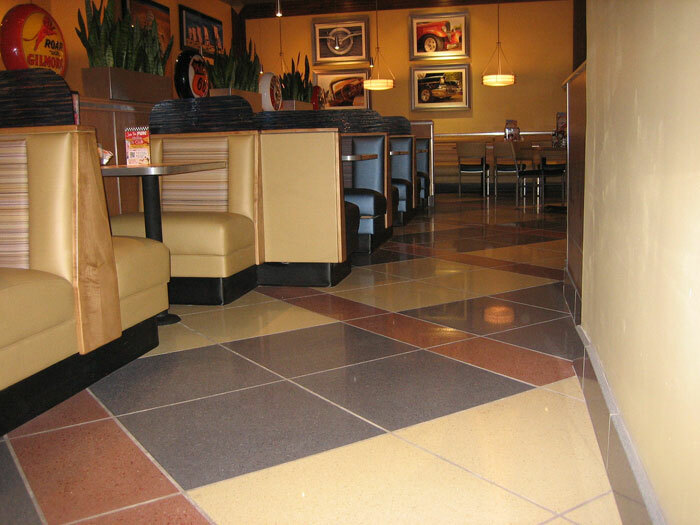 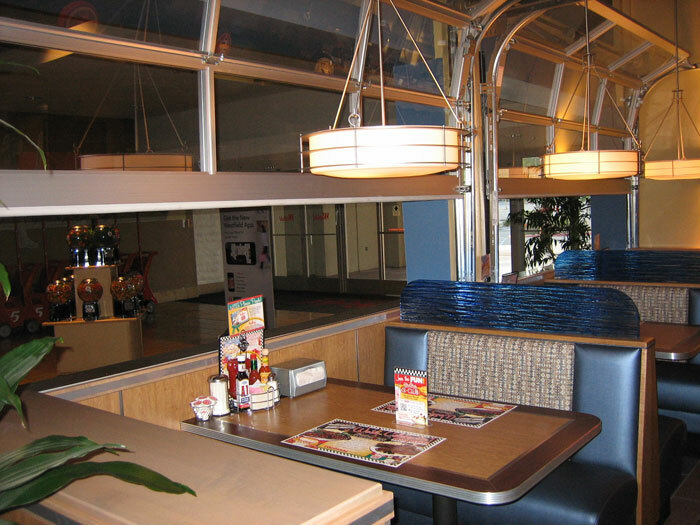 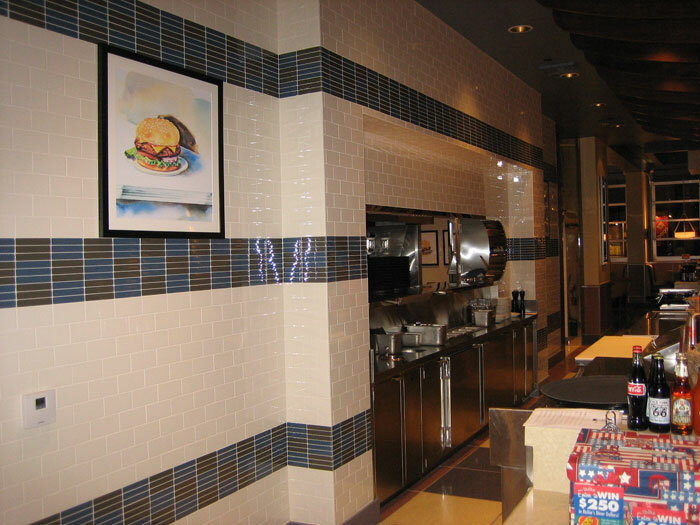 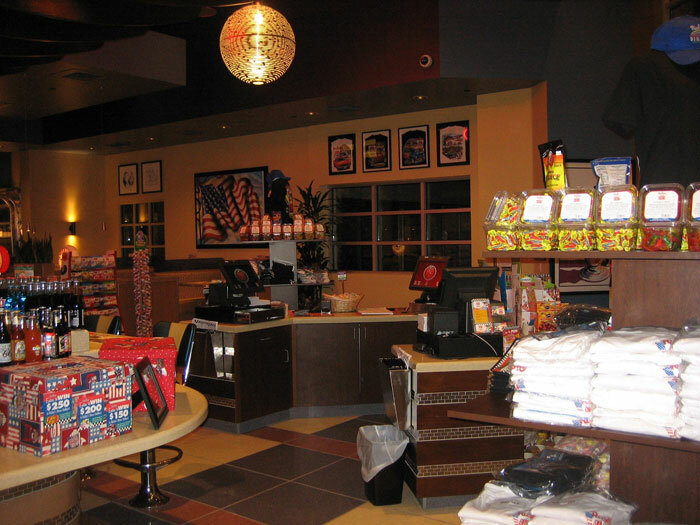 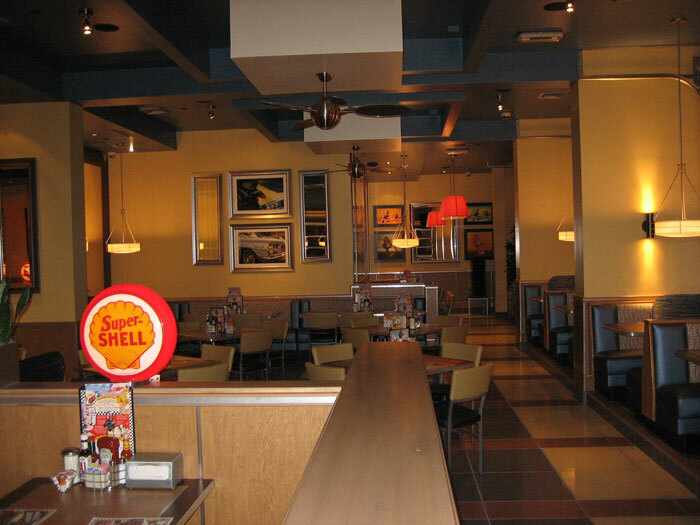 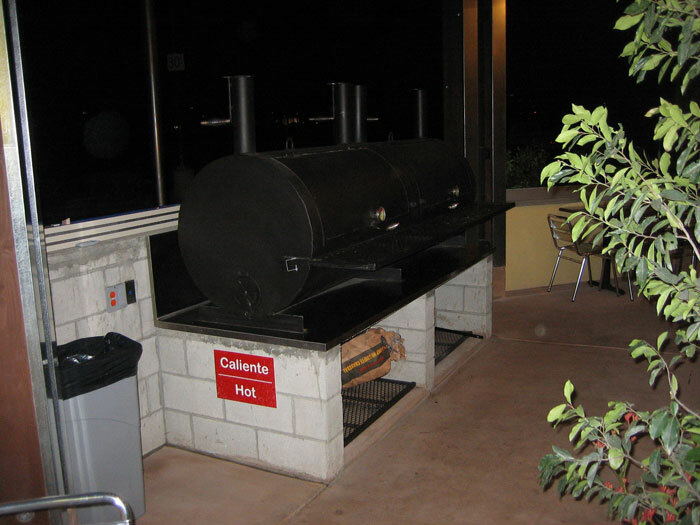 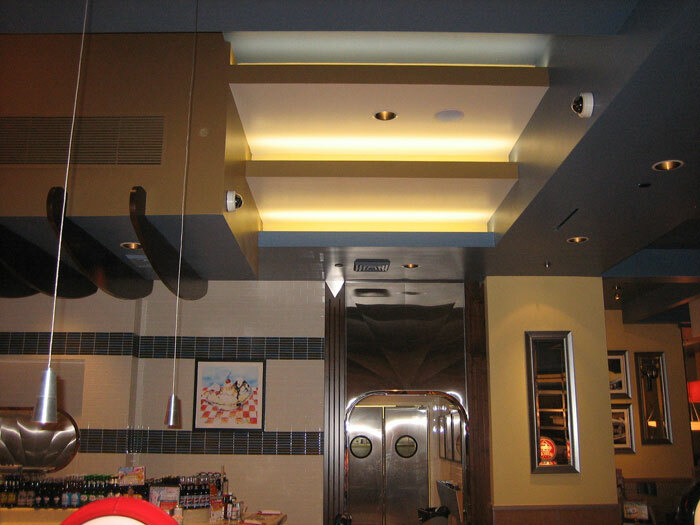 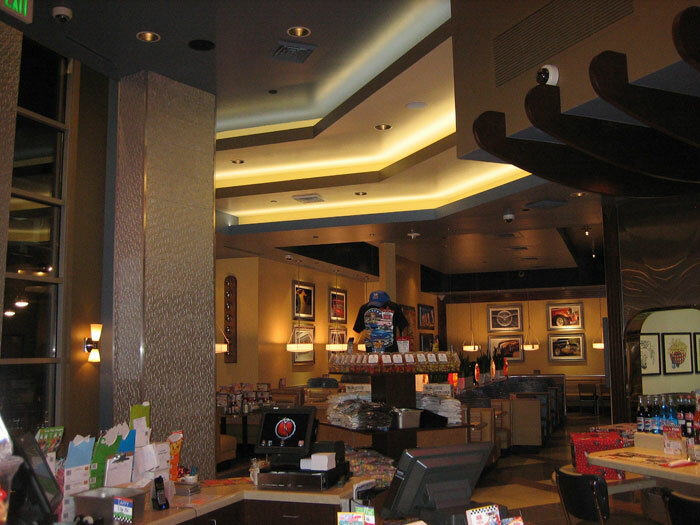 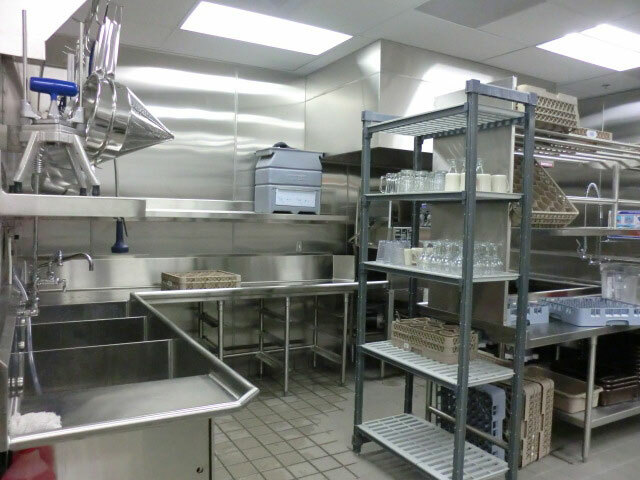 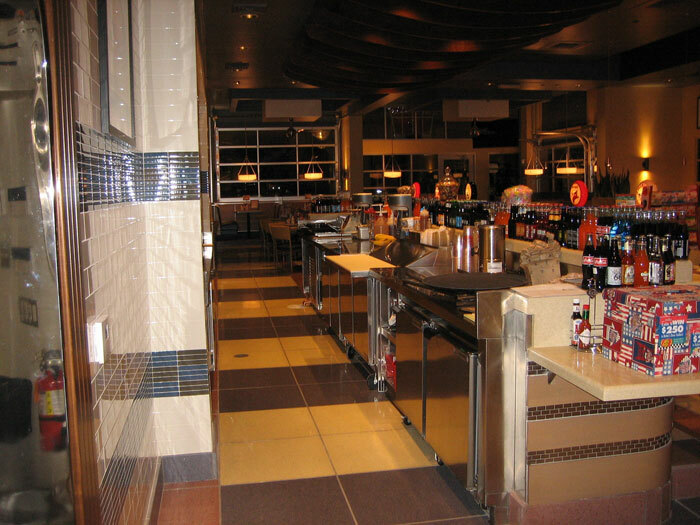 The entire ground waste system for the old Marie Callender’s was replaced allowing for the new location of the kitchen, which required a lot of overnight work to be performed in the ceilings of the tenant s downstairs.